We recently created a worksheet to help you plan timely email promotions all year round. Check out how business mentor, Nancy Juetten, attracts hundreds of new clients by offering timely and exclusive content. 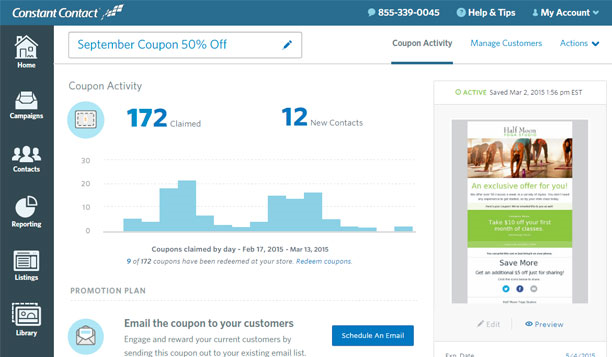 You can create a trackable coupon in your Constant Contact account. 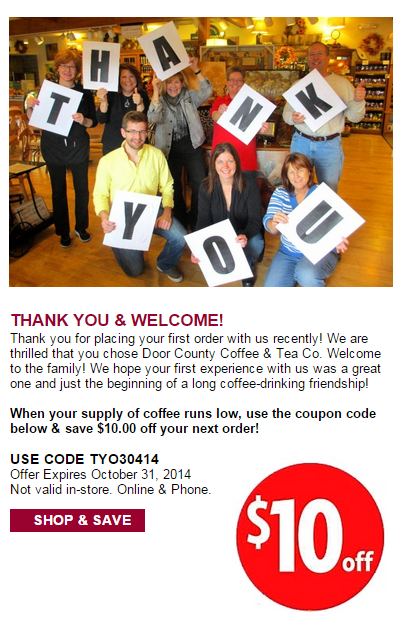 Promote your coupon with a mobile-responsive email template, and keep track of its performance all in one place. Beyond email, make your offer visible in-store and on your active social media profiles. Today, there are easy-to-use tools that can help track the results of your offer from start to finish. When you create a trackable coupon with Constant Contact for example, you can monitor who’s claimed, redeemed, and shared your offer. No matter what your offer entails, you need to have the right tools to put your offer into action — Constant Contact can help. Start planning your upcoming opportunities with this worksheet, and learn more about our coupon feature here.